This is a question that I am always asked. If I told the truth as a retailers I would switch you on to the winters because they are far safer in bad weather driving, their is nothing more to it. It is worth Worth Fitting Winter Tyres in these days of heavy traffic on our roads. This is the answer I usually give. I tell them that the best winters for them are the ones that they can afford and if they need any new ones at the beginning of winter then they should buy winters and then they can keep them on the rest of the time if say they can’t afford another set of summers, in my opinion it is Worth Fitting Winter Tyres they are much safer and would be more value for your money if you require new ones just before the bad weather comes along. We try to have an open mind about what make of winters to keep in stock, and I always go for a budget brand because this keeps the price lower for the customers, and makes them more affordable for our customers who are on a lower budget, but appreciate the safety aspects of this product. For this purpose I always keep in something like a Apollo, we also try to source other tyre makes such as Avon or this year we have had some good deals from Yokohama of Japan. An interesting fact that persuaded me to go down this line is the fact that re-manufactured tyres are used on many of the large truck fleets in the world, and most of all major Airlines also use this type on their planes, a great indictment for this product. Some of our customers ask for recommendations as to what winter tyres are best for their specific cars, such as this letter to the “Honest John” web site. He recommends that they buy a spare set of wheels with winter’s fitted, to me this is the best option, than you can change your wheels to winter tyres from say November to March and drive with safety. Hi I would like to introduce myself. I have worked in the Garage and tyre and Leisure Battery Business now for 40 years. I worked for a couple of national tyre companies before starting my first business. I now own a company here in the UK called Pellon Tyre and Auto-centre, and I am a keen blogger about anything to do with cars and their related products that will help my business. https://www.pellonautocentre.com/wp-content/uploads/2015/06/Logo_PellonCleanTrans.png 0 0 Eric https://www.pellonautocentre.com/wp-content/uploads/2015/06/Logo_PellonCleanTrans.png Eric2019-01-25 16:20:002019-01-25 16:20:00Worth Fitting Winter Tyres- Which winter tyres would you choose? Warning Most areas in France DO NOT grit the roads, so be prepared? it DOES SNOW I almost got caught out? One of the latest winter tyre makers to enter the UK tyre market is Apollo tyres. The last winter I thought I would try them out. So I fitted a set before we embarked on a long drive (800 miles) to South West France. Last winter in February. My wife and I went to the South West of France. Hence, to take our daughter back to a teacher training school. We went in our old Audi A4. Thus, we fitted Apollo Winter Tyres to try out, (and boy did we need them ?). I fitted Apollo Winter Tyres to try them out and they were fantastic. We woke up from our hotel on route to find 10 inches of snow. Had fallen overnight and the outside temperature was -17 Celsius. The hotel car park was on a slope.As a result after breakfast. We saw the other guests struggling to exit the hotel car park. Due to snow and ice.In fact they were not moving at all. Therefore, I could not wait to try my new tyres out. All the roads were covered in 10 inch of snow. Apparently, that had just blown down from Russia, (according to the French television weather guy), In France they do not panic to clear the snow. Of course, like we do here in the UK. So but tend to leave it to hard pack. Thus, the only roads they clear at first are the motorways. We still had a journey of 200 miles ahead of us in a total white out. We boarded the Audi and set off to Perigueux in South West France. I started driving at a very steady speed. But to my amazement.The car just strolled through the 10 inch of snow effortlessly. The Apollo Winter Tyres worked wonderfully in the thick snow. 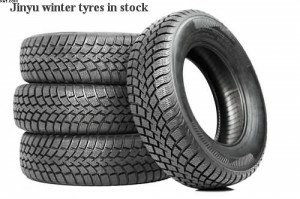 Winter tyres have silica added into their compound so that they do not loose their flexibility in temperatures bellow freezing, this keeps the whole tread onto the road surface and gives a better grip, the same also applies in wet weather and that’s why winter tyres can take every thing that winter can throw at them. The Apollo Winter Tyres were superb, the only thing we had to worry about were the other drivers skidding all over the place on their summer tyres. We even stopped to pick up a French guy who found himself stranded in the blizzard in a very hilly area and dropped him off in his home town about 10 mile further on . We finally reached our destination thanks the excellent tyre especially Apollo Winter Tyres and made the return journey in complete safety whilst most other drivers either kept off the roads or were skidding about. A true first rate experience with winter tyres. https://www.pellonautocentre.com/wp-content/uploads/2015/06/Logo_PellonCleanTrans.png 0 0 Eric https://www.pellonautocentre.com/wp-content/uploads/2015/06/Logo_PellonCleanTrans.png Eric2019-01-02 16:19:432019-01-02 16:19:43Apollo Winter Tyres-Saved the day on a recent drive down to France?